I did not watch the show so I don't know if what Coombs is reporting as factual is accurate. What I do know, however, is that it is not “propaganda” which connotes information that is biased and misleading. How can I be so sure? Because hyperbole is entirely unnecessary when it comes to the abuses that gay people have suffered, mostly at the hands of conservative Christians. Ms. Coombs is associated with Newsbusters which is owned by L. Brent Bozell III, an ultra-conservative Catholic with an impressive anti-gay body of work. 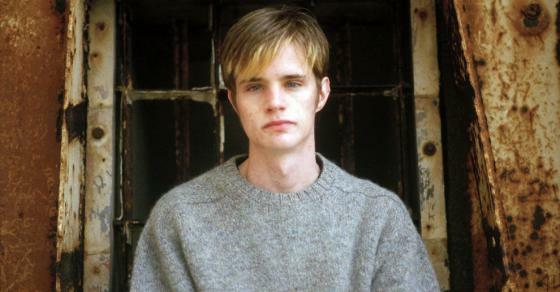 LGBT sacred martyr Matthew Shepard is referenced, “Those who truly hate us … are trying young men to fences in Wyoming and cracking their skulls open.” Of course, we now know that Shepard's murder, horrific as it was, was not a hate crime. It's that “of course we now know” part that invariably pisses me off. In fact, Shepard revisionism makes me sick. The Christian right has invested heavily in the mythology of making Shepard complicit in his own murder. It is intended to thwart hate crimes legislation and to further demonize gay people. There are many reasons why I know that this was a hate crime. I did not see the circa 2004 ABC program but I have read Stephen Jimenez' book The Book of Matt: Hidden Truths about the Murder of Matt Shepard which was published to coincide with the 15th anniversary of Shepard's murder. A significant number of sources are anonymous. Furthermore, Jimenez doesn't accurately separate quotes from gist and the chronology of events is not at all consistent with testimony. More importantly, to believe Jimenez you have to believe that Shepard was some kind of methamphetamine kingpin. It is ludicrous according to local law enforcement. You also have to believe that Aaron McKinney lied to police in a taped confession. Lying to police is nothing remarkable. People lie to either say that they didn't do it or to mitigate what they did. However, in this case the supposed lie made the case against him obviously more damaging. Neither Russel Henderson nor McKinney are very bright guys but any dummy would know that a murdered drug dealer is less sympathetic than an angelic looking college kid. On top of that one has to subscribe to the belief that both girlfriends also thought that the story of beating the crap out of an innocent college kid was better for the defendants than the story of a drug deal gone bad. Both girlfriends ultimately changed their story. While lying in the first place served no purpose, lying after the fact would seemingly serve the two men who are imprisoned for life without the possibility of parole. They were provided with manufactured mitigating circumstances. Based upon the testimony of four people (and the bartender at the Fireside Lounge in part), Henderson and McKinney approached Shepard and struck up a conversation. Henderson and McKinney had purchased a pitcher of beer with loose change while Matt, immaculately dressed, was sipping imported brew. Shepard asked the two for a lift home. They agreed with the intention of robbing Shepard in a remote area. McKinney claimed that Shepard made a sexual advance and this led to McKinney pistol whipping Sheppard. McKinney and Henderson were two tough young men. Shepard could not have been much of a threat. He was five feet, two inches tall and weighed about 100 pounds. When Shepard could still read back the license number of the truck, McKinney hit him three more times. Those were the blows that ultimately killed Shepard. Idiots like Coombs just do more violence to Shepard's family because of their anti-gay agenda. It is obscene to spread these falsehoods about the death of Matt Shepard. The last time I wrote about Coombs she was claiming that the very presence of a trans character in a TV show posed a danger. Just one more imbecilic bigots in the world.